← How Can Yellow Strengthen My Personal Power, Joy and Empowerment? What Color Should I Paint My Music Room? I recently had a client and a virtual request asking for color suggestions for a music room. Now this is a very interesting topic. Aren’t music rooms just like any other room in the home? No. Here’s why. Being an “Artist” and that goes for both music and art, requires special attention to the color in the room where the artist will be. As the artistic mind creates, and I know this first hand, everything and I mean everything can be a distraction. From the music I hear to what I see around me, all affects my creative thought process. So if everything is a distraction what color should I paint my walls? Should the wall color be bold and beautiful? Well that can be a distraction or it can enhance your creativity. I have chosen color for some music rooms before and it’s not a one color fits all deal. It depends on what goes on in the room. Is there just one musician or an entire family of musicians that play together? Pistachio Ice Cream CSP-815 is a great color choice for a music room. Here, Pistachio Ice Cream CSP-815 is a great color choice for a music room because it’s light, earthy, bright and yet not distracting. I’d certainly keep the colors muted but not muddy. As much as I’m not a fan of gray, I did use it for a client recently and here’s why. They had a very large music room, several instruments and several family members all playing in one room. Now that’s a lot of people who want to take the lead so to speak. Gray, will help neutralize this where everyone is on equal levels “visually.” Seeing gray will help that family, on a subconscious level, work together as a team. Yes, color can do that. 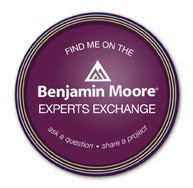 This entry was posted in Benjamin Moore, Color Stories, Holistic Colors, Home Decor, home improvements, spring home improvement and tagged Color Stories, Music Room. Bookmark the permalink.